Dates on two consecutive week-ends, my beloved is spoiling me, isn’t he? Films are like buses. You wait for one that you want to watch to come along and several arrive at the same time. 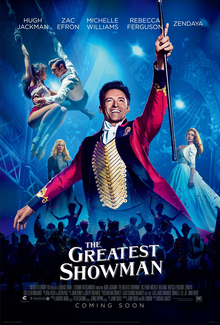 At our local cinema last week-end we had the choice of Paddington 2, Pentagon Papers or The Greatest Showman. The last one is a musical and regular readers will know how I feel about those! My beloved adores musicals and so I decided – don’t I always? – to indulge him. I was prepared to be generous only because the man playing PT Barnum was the utterly lovely Hugh Jackman. I’ve met Hugh, on a number of occasions, and can confirm that he’s a lovely (and fit) chap. Our paths crossed in the gym, early morning, while he was getting in shape for one of the many Wolverine movies. A number of well-known figures used to frequent the gym, many of whom would make their presence known, but not Hugh. He was intent on working out and minding his own business. I never used to wear my glasses in the gym so initially he was just a blur in the distance but, in the free weights area, I was left wondering why he looked so familiar, until the penny dropped. I refrained from stalking him around the gym – it would have been so easy – instead, just allowed our paths to cross as we moved around the equipment and weights, with our respective personal trainers. Back to the film which I note didn’t garner particularly positive reviews, but so what? It was better than anticipated, a bit light on accuracy though pleasantly diverting. My beloved loved it and that’s all that mattered. 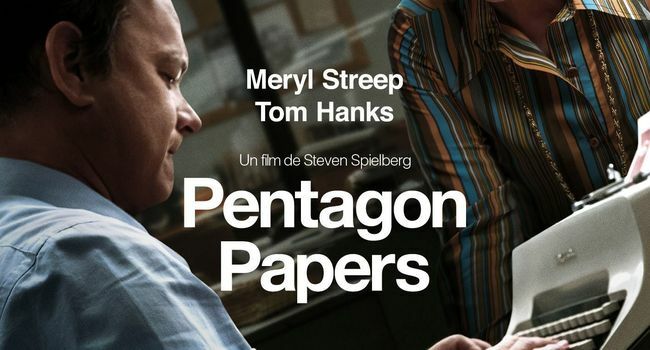 This week-end, before flying off to Dubai, we went to watch The Pentagon Papers, a rather weightier film but which, like The Greatest Showman, also has disturbing parallels to current events. I’ve not met either Meryl or Tom though once had dinner in a London restaurant on the table next to Tom and his wife. I’ve lost count of the number of celebrities I’ve spotted in London in shops, bars and restaurants. Of course, you ignore them. It’s very uncool to even acknowledge them which is why I suspect they enjoy visiting London. It’s different on the Cote d’Azur, where most celebrities stay well behind the high walls of their villas or out at sea, and out of sight, on their yachts. If celebrity spotting’s your thing, you need to hang out in Monte Carlo, Saint Tropez or in Cannes, during the Film Festival. 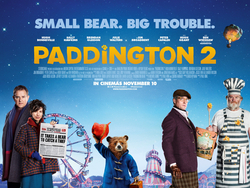 I’m kinda hoping I’ll be able to watch Paddington 2 on my up-coming long-haul flight! Both week-ends, as we walked out of the cinema, our favourite restaurant on the Polygon Riviera site is dead ahead – pizza anyone? That’ll do nicely! Yeah, it was very good. We both enjoyed it. A couple of date nights….lucky you. In the States, where I live, The Pentagon Papers has a different name — The Post. Meaning, the Washington Post newspaper. I saw it. Thought it was pretty good, but not as good as I was hoping for. European films often have different titles. I guess The Post couldn’t be meaningfully translated. Thanks Sheree for following my blog! If I don’t immediately it’s not because I don’t want to, but I’m struggling just to publish a blog a day this year (been at it since 1/11 so far) til I get to 100. I also want to re-start my book. Your site looks great and like mine has posts about food, movies, culture, as well as biking. Thanks and hope we cross paths again soon! Any tips for a relatively new blogger are welcome. Allez Allez! Thanks! Just write about what you love and for your enjoyment.